Via our website, news email, one on one meetings, community committee work, educational materials, a conference booth and our annual summit, etc. we work to educate everyone about the indoor epidemic, its dire consequences and the health benefits of nature.Â We encourage everyone (parents, teachers, doctors, urban planners, youth organizations, legislators, etc.â€”EVERYONE) to consider incorporating frequent unstructured outdoor play and learning into every family plan, school plan, health plan, urban plan, legislation, etc. AND to work together to ensure that no child is left inside.Â We also offer resource ideas and collaborative ideas as to the most exciting ways to reconnect children, students, patients, etc. with the natural world. 2.Â Is the Collaborative a 501c3? No. We donâ€™t feel as if central Ohio needs another non-profit.Â Instead we asked a long standing central Ohio non-profit, with whom we have shared values, to serve as our Fiscal Agent. b.Â We operate an engaging website and newsletter providing resources and articles to our members and the general public. 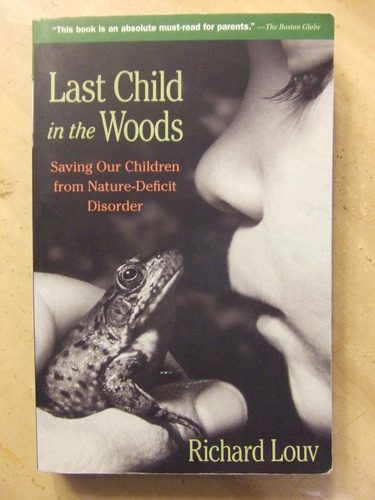 c.Â In 2010 we brought together state leaders, including First Lady Frances Strickland and Senator Mary Jo Kilroy to talk about how to work together to help children using nature. d.Â In 2010 we held a statewide Rally (via live webcast) which was attended by stakeholders across Ohio, during which we unveiled the Ohio Childrenâ€™s Outdoor Bill of Rights, the Report on Ohioâ€™s Initiative to Reconnect Children and Nature, and the foundations of our public awareness campaign, including a beautiful poster. g.Â We worked on a team brought together by Action for Children to develop the Central Ohio Natural Playscapes Initiative. 4. What programs does the Collaborative offer for children? There are many, many wonderful programs in Central Ohio to give children experiences in nature, such as nature camps, parks, nature centers, gardens, etc. Our role is to shine a light on those programsâ€”rather than compete with themâ€”and inspire more people to attend and support existing programs. 5. What does it mean to be a member of LNCI? Who is the staff? Membership in LNCI is free. Our members proudly display the badge of the Leave No Child Inside movement to promote the broader ideas and cultural change the movement represents. Our members promote the LNCI message while simultaneously benefitting from the inspiration and education it brings to existing programs. Our staff is made up of volunteers with support from our members where they can offer time our resources sponsored by their organization.